Watch Official Theatrical Trailer of Krrish 3 at InformationGuru -Today on 5th August 2013, Hrithik Roshan made his first official public appearance & first look of his new film "Krrish 3", after his brain surgery and the occasion was the trailer launch of his upcoming movie Krrish 3. Priyanka Chopra missed Krrish 3 trailer launch because she is currently in Los Angeles for work. 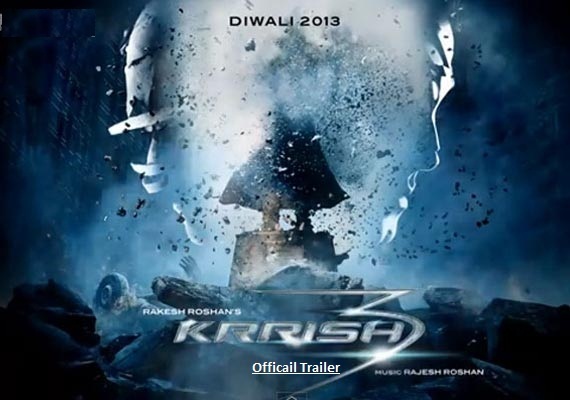 Check Out the official & theatrical trailer of 'Krrish 3 (2013)' below in Twitter Link, Featuring Hrithik Roshan, Priyanka Chopra, Vivek Oberoi & Kangna Ranaut. Directed by Rakesh Roshan.